Are you a solo or group workout person? Usually you can find people in one group or the other when asking about which they prefer. 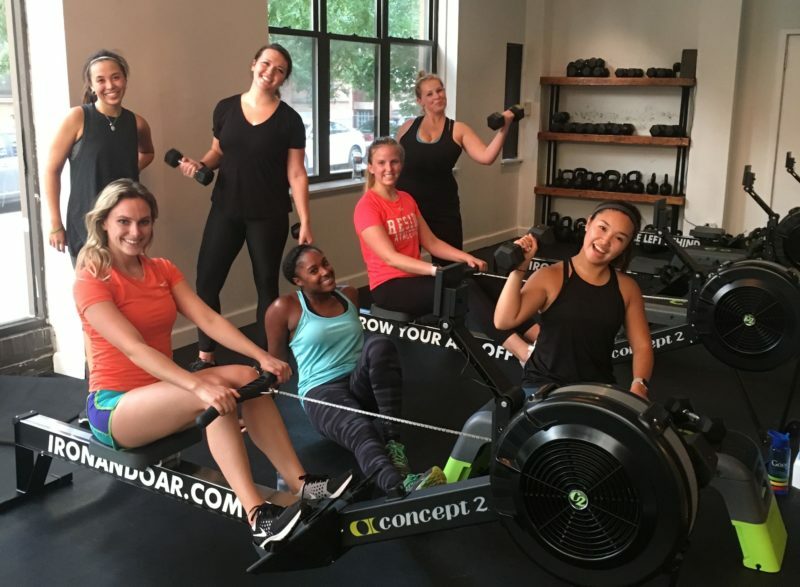 For those of you who tend to work out on your own most of the time, this post helps illustrate why switching things up for group fitness now and then may help improve your workout routine. Signing up for a group class requires that you register in advance. For many locations, late cancellations result in a fee. When you have committed to attending a class, even through just signing up, it makes it harder for you cancel than if you were planning on a solo workout. Making plans with a friend to attend a group class means double accountability. Once to the studio and once to your friend. If you can, help make sure you make it to your workout by scheduling at the same time someone else you know is attending. By regularly showing up to the same classes, you get to know the instructors (and vice versa), but you also get to know the other class participants. What starts out as a “good job” or a high five on a job well done can easily turn into a friendship. If you’ve done a good amount of individual fitness training, you know that sometimes it’s hard to stay motivated if you’re by yourself. Group fitness classes can be high energy and everyone working together to do the best job they can is motivation to help you do the same. Even if you’re dragging at the start, by the end of class you’ll find energy you didn’t even know you had! Although there is a great sense of community and support in group fitness classes, there’s also an element of competition. Knowing that other members can see how hard you’re working sometimes causes you to push yourself harder than you would on your own. Friends can push others to use heavier weights or pick up the pace to finish as strong as they can. A little competition is never a bad thing! Often in group fitness, formats change. This means that you’re usually faced with different movements and different structures, both of which lead to a more well-rounded workout and better results. At their core, group classes are convenient. You don’t have to plan your own workout or spend time trying to figure out where and when to do it. All you have to do is show up and give your best each day. Make sure to check out the Reside Athletics calendar to check out all our group fitness opportunities and more! I’m glad you pointed out that group fitness classes provide a sense of community and can easily lead to new friendships. Lately I’ve been wanting to get in better shape, and I’m a pretty social person so I think I’d thrive in the community environment of a group fitness class. I’ll definitely start looking for fitness programs in my area! I agree, motivation is a huge thing to consider when you start exercising and training. This is one of the big reasons why group fitness can be so helpful. After all, if you’re working out with people you like then they can help you stay motivated.